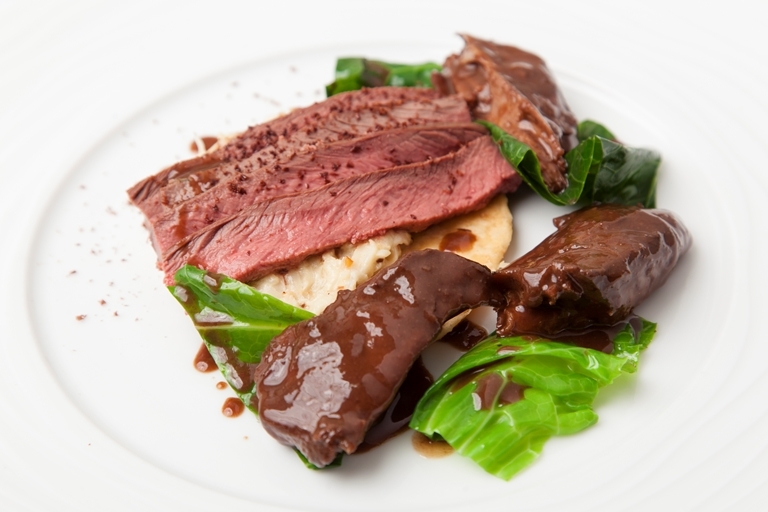 Hare is a beautiful meat, well worth seeking out at your local butchers for its deep gamey flavour. Kevin Mangeolles serves it with bitter chocolate and rich creamed celeriac for a perfect winter meal. If preferred, you can make a hare stock for the beer-braised haunches to give an extra rich finish.